Trendy environmentalist virtue signaling continues to thrive in California. Not content with bans on plastic bags and straws, west coast Democrats are flexing their green muscles yet again—this time, with a proposal to prohibit the use of paper receipts. Sure, this bill may be well-intentioned, but its promises are empty, and its only real impact will be boosting big corporations in Silicon Valley. California Assemblyman Phil Ting introduced the bill to ban paper receipts under state law in early January. The lawmaker awkwardly announced his initiative while standing next to a man dressed in a giant receipt costume. But while Ting’s ridiculous proposal clearly appeared out-of-touch, the details of the bill reveal even more absurdity. If this law is passed, businesses will be required to start providing electronic receipts by January 2022. If businesses do not comply, they will be given two warnings before being fined $25 per day, with an annual cap of $300 in fines—not to mention the costs of implementing an e-receipt service. Assemblyman Ting argues that a paper receipt ban is necessary to minimize waste, preserve resources, and protect the public from apparent “toxins” in the receipts. Only in progressive California could businesses be fined for daring to distribute paper receipts. Using e-receipts can potentially help businesses in the long run, but this sudden, forced change, along with hurtful government fines, is of no help to struggling small businesses who may not be able to afford a sudden shift in technology. This proposed regulation is burdensome and unnecessary anyway, since more and more businesses are beginning to use e-receipt programs by choice. An Epsilon International study showed that 83 percent of retailers use e-receipts in order to obtain the customers’ email addresses and utilize them for marketing purposes. Clearly, this issue is about more than the environment. The Wall Street Journal editorial board rightfully notes that if Ting’s bill is passed, the real winner would be Silicon Valley. Many leading e-receipt providers such as Wells Fargo and Stripe reside in San Francisco, the same city Assemblyman Ting represents. So it’s fair to question whether Ting is exaggerating his popular environmental cause as a subtle way to satisfy his Silicon Valley supporters. Ting has failed to present his case in an objective and sincere manner. 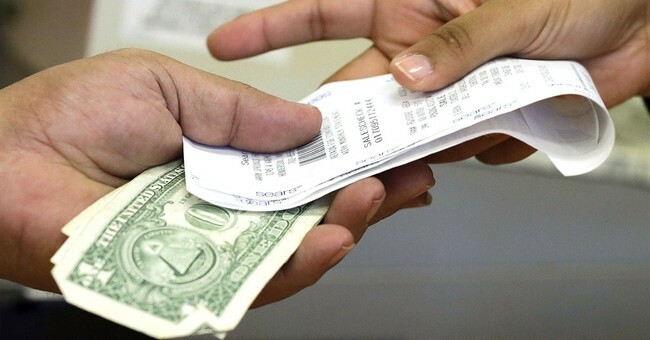 His proposal allows businesses to continue to distribute paper receipts until 2022, and after that point, they would still be available at the customer’s request. If paper receipts are even close to as “toxic” as Ting claims, then why not completely ban them immediately? The truth is that if progressive California politicians would simply let the market work, the decline of paper receipts would likely continue in a natural fashion alongside changing consumer preferences. Assemblyman Ting is using environmental pretenses to advocate for a worthless bill that would only benefit his already-thriving supporters in Silicon Valley. Let’s hope California politicians put this bill where it belongs—in the trash, with the oh-so-terrifying paper receipts. Patrick Hauf (@PatrickHauf) is a writer for Young Voices and Lone Conservative. His work has appeared in the Orange County Register, the Washington Examiner, FEE.org, and more.